Phoenix Rising was made by Frank Boyden in 2002. While the artist named his piece Phoenix Rising, no local calls it that. 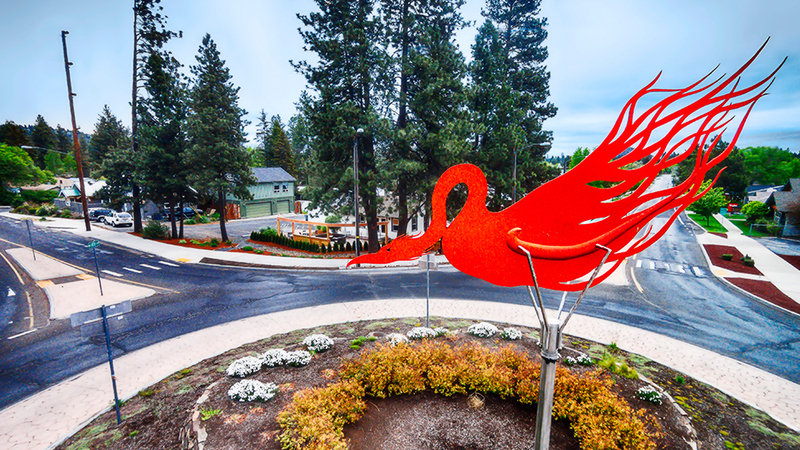 Originally an insult, “Flaming Chicken” has become an affectionate nickanme for one of Bend’s earliest roundabout art installations. In fact, a smaller version of the piece – usually wearing Mardi Gras beads – graces a major intersection in the Phil’s Trail complex.